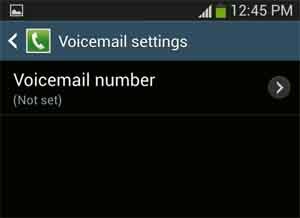 There were several emails we received from owners of the Samsung Galaxy S4 complaining that incoming calls are directly being forwarded to voicemail. Although not a serious problem, it may still have serious repercussions especially if calls that were forwarded to the voicemail were important. This post will serve as a troubleshooting guide to help fix the problem. Account is not active or is not set up correctly. Network outage is affecting your area. Third-party application is causing an issue. Incorrect SIM card is being used. Please verify your account is in good standing; place a test call to another phone number to verify your service is active. If the issue is restricted to a certain location, please check with your Service Provider for coverage in the area where you are experiencing signal loss. Verify that the device has no physical or liquid damage (for example, has not been damaged by dropping or exposure to moisture). If your device uses a SIM card, ensure the card is installed correctly and is not damaged. Also verify you are using the correct SIM card from your service provider. If you recently ported your phone number from one service provider to another, this is a common issue, which can last a few days until your phone number is completely ported. Please contact your mobile service provider for additional questions or troubleshooting. With the device still on, remove the battery for 30 seconds. After the time has elapsed, replace the battery and power on the device. Wait a few seconds for the device to connect to the network. Verify that Airplane mode is not active on the device by pressing and holding the Power button for one or two seconds. If Airplane mode is not active, you will see Airplane mode is OFF. Otherwise, touch Airplane mode to disable this feature.